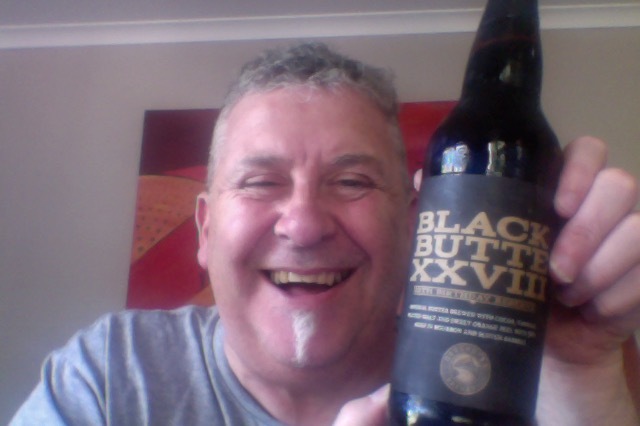 Deschutes Black Butte XXVIII. I can’t keep putting it off and it has to be drunk, and it’s 1st December and the season of good cheer and all that. This is a 650m bottle of a beer that is 51 IBU, and it has the 11.5% ABV about it, thats 345 calories a serve size, and in NZ this is 5.9 standard drinks. Every year, we celebrate our anniversary with an imperial, barrel-aged version of our flagship Black Butte Porter. Our brewers love to experiment and they always add some fun new ingredients to this beer like chilies, cranberries, figs and other such treats. This year, to celebrate 28 years of brewing, they’ve added the interesting mix of ingredients (cocoa, vanilla beans, sweet orange peel) for another multi-layered flavor experience. So, What could possibly go wrong? Well this has the wax seal over cap, and that’s always a challenge, but it does add that drama to the beer. Also the music is fairly strong so that’s a good thing to right? Aroma in the glass is a distinct orange but on top a distinct dark bitter chocolate note too. Taste is quite intense with noticeable Bourbon Barrel aged alcohol, The layers of orange and that cocoa are lovely, giving way to a quite bitter and unfinished finish. I’m putting that down to the bourbon bit and not a mis-step on the brewer, I really do need to read the labels more and having done so find that this is what it has and what you’re getting. Having left that sit for a couple of minutes it gathers a lovely mouthfeel about it, but that bourbon tang is still there. as it should be. I’m not big on Bourbon and nothing in this is persuading me otherwise though. That aside there is nothing that you can’t not like about this beer, and the music got a second spin too. This is both equally sipping beer and beer that you can enjoy by the gulp, although that’s for the bold, and I found myself enjoying it in the smaller style, which also made it last longer. Don’t know I could go one every night though, I think a special beer is a special occasion, also it’d be a short night out if this was the beer of choice, you might make it through happy hour, a couple would see you home early with nothing but regerts and a hay memory of promises made. The pdubyah-o-meter rates this as 9 of its things from the thing. It starts a bit brash and outlandish and then just settles down and does what it does. It has a lovely aroma, bitter orange, and a strong sharp Bourbon alcohol note, and a lovely mouthfeel. I’m not sold on the finish though, but then Bourbon really isn’t my thing. Am I enjoying it? Yes, it’s a strong character beer that settles in well. Would I have another? As if you could buy one. Would I share with a friend on a porch and set the world to rights? Yes, this is rather the pinnacle of good brewing for special reasons and it shows a proper mastery of style and achieves what they set it to achieve. A little bit of me loves this. Fort Atlantic is an American musical group based in Portland, Oregon. 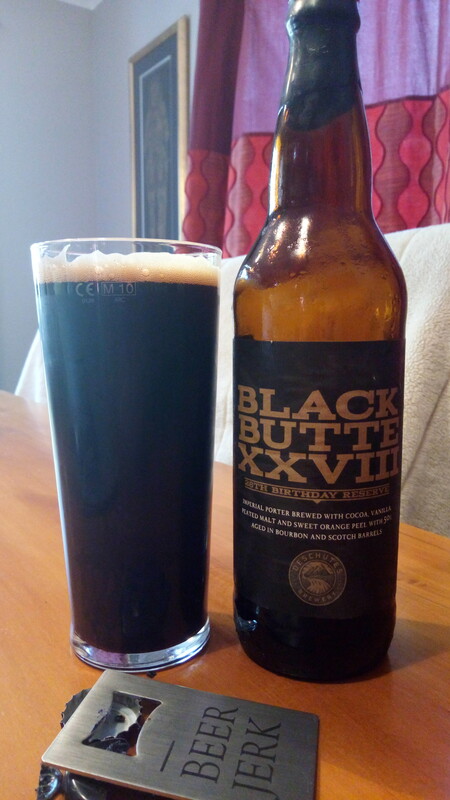 This entry was posted on December 1, 2017 by Philip Walter in Beer, Beer of the USA, Beer Review, Brewed By, Craft Beer, Critic, Deschutes, Imperial/Strong Porter and tagged BeerJerkNZ, Bourbon, craft beer, Deschutes, Deschutes Black Butte XXVIII, imperial/Strong Porter.